Has Strictly Come Dancing jumped the shark? I never thought I'd hear myself say those words, but after the initial weeks of this year's contest I've already come to that conclusion, as I quickly realised it's not going to be a vintage year. Just how much longer can Strictly "keeeeep dancing"? Despite being the annual highlight of Saturday night telly viewing here at EuropeCrazy HQ from now till Christmas, the first few weeks have been more of a trial than a treat – 2-hour marathons of mediocrity, where I used to love this show there are too many ‘meh’ moments, too many z-listers, too many ‘what are they in? what are they famous for?’ faces. From series 1's original line-up of professionals, only Brendan Cole and Anton du Beke remain, and there's a new crop this year - Aljaz Skorjanec, Anya Garnis, Janette Manrara, Kevin Clifton (and Iveta Lukosiute stepping up to full-time after filling in last year); Aliona Vilani was axed but replaced the injured Natalie Lowe, only to be paired with someone who would be evicted very early in the competition (not suggesting any conspiracy theories or anything, like...!) Over recent years there has been less focus on the professional dancers, who seem to be more sidelined than before. Ratings-wise, Strictly has never been so popular. Last year it overtook the X Factor and topped the Saturday night TV ratings, and it's doing very well again this year. However, I feel that on its way to the top of the ratings, the programme has lost its way, its heart and its soul. Crap VTs, stupid theme-weeks, the Wembley shambles, and now this year 'stating the obvious' - Tony Jacklin's a golfer, oh let's dress him up in a glittery golfing outfit! Fiona Fullerton....hmm....Bond girl - let's have her dancing to a Bond theme! And so on, and so on. Has anyone noticed an increase in the use of props/furniture this year? This is now a constant and unnecessary irritation and takes the focus away from the actual dancing. And don't start me on the musical slaughter of modern-day songs by "our fabulous singers" - well that hasn't changed, has it??? There also appears to be a lack of content in many of the dance routines, which makes a bigger mockery of the judges' high praise (or as my mum calls it, "feeding their egos") and the over-marking by the judges at such an early stage of the competition. If you're awarding 7s, 8s and 9s to mediocre contestants at this stage, it doesn't leave much scope for later in the series, does it? The healthy and constructive criticism which used to be a part of the show has been watered down, and the praise is piled on. Got to keep the "celebrities" happy, eh? I also have another problem with this year's Strictly: why do so many of the contestants look as if they'd rather be somewhere else? Where's the joy? Lighten up, people! There is one positive thing to report this year - for one week only, the show returns to its spiritual home at Blackpool's Tower Ballroom on 16.11.13. This year's front runner and "chosen one" appears to be Natalie Gumede a.k.a. Killer Kirsty from Corrie. She is a trained dancer from her childhood. As expected, a judges' favourite although as with previous years' 'favourites' she is maybe a little too focused on the prize and therefore lacking the likeability factor. She is paired with Artem "the chest" Chigvintsev so that's guaranteed a few extra votes. Ashley Taylor-Dawson a.k.a. him off Hollyoaks. He's probably the best of the male contestants and is very likely to be the last man standing in a year where the non-professional male crop is very poor. Robin Windsor always tries to make the most of the limited ability of the dancers he's paired with. This year his partner is Deborah Meaden who's best known for Dragon's Den. She has improved a little over recent weeks, although she lacks a fanbase therefore an early exit is inevitable. Ladies and gentlemen, Mr Anton du Beke. Who it has to be said has been paired with a selection of duffers over the years. He seemed a bit happier with Fiona Fullerton who may look the part, but yet again she's another wooden example of the mediocre class of 2013. She's probably only got this far because of the very popular Anton rather than her own dance talent. Fashion designer Julien McDonald was taking up residence in the bottom two before finally being evicted last week, although it would appear that people seemed to object more to his over-the-top personality rather than his dancing. This also meant an early exit for Janette Manrara, another of this year's new professionals. Interestingly, all of the new dancers are all in relationships with other new dancers: Janette & Aljaz, Anya & Pasha, and Kevin & last year's newbie Karen Hauer. To borrow a well-known reality show phrase, "the journey" can have a huge influence on how well a contestant does. Mark Benton - "him off the telly" started off as another comedy contestant, however he seems to be showing signs of progress and I wouldn't be surprised if he has a longer stay on the show than we first thought. Patrick Robinson, another one of those "blokes off the telly", seems to be the second best male contestant after Ashley Taylor-Dawson, however he needs to bring more content into his performance as he clearly has the ability to go further. This is an area which professional partner Anya Garnis needs to work on. Before the series started, Rachel Riley ("her off Countdown and assorted other celebrity quiz shows") was one of the favourites. However the numbers are not adding up and the vowels are definitely missing from her d nc ng. She's wooden, she looks uncomfortable and I'd say her days are numbered. There is no chemistry between her and her partner Pasha Kovalev. Another new arrival in the professionals is Kevin Clifton. a.k.a. Kevin from Grimsby. He seems quite likeable and doesn't seem to take himself seriously with his geek-glasses. A breakfast TV presenter is always a staple of Strictly and this year it's Susanna Reid's turn. She is good, although she is beginning to grate on me. I do not find her likeable at all, and I think she's becoming too full of her own importance. First evictee this series was golfer Tony Jacklin, and a convenient early exit for Aliona Vilani. No surprise that Tony was sent off to the 19th hole as he was one of those (traditionally male) contestants who thought the show was called Strictly Come Walking. James Jordan is still in the show despite being tipped for the axe...oh wait, no, he's gone - along with Vanessa "is there any show she won't appear on?" Feltz. I can't stand the woman at all, and she wasn't any better at dancing than she was tackling anything else on numerous celebrity shows. This week's theme: songs by previous Idol contestants. Such a rich archive to plunder, and the crossover with Melodifestivalen was irresistible, with 5 of the 8 songs this week having either won or competed in that contest. The original performers also sent little good-luck video messages, apart from Robin Stjernberg who was in the Idol studio. Miriam Bengtsson - "This Is My Life". So many songs to choose from, so why pick this insipid song which, if you'll all remember, didn't even make it to the Eurovision final? The musical arrangement gave it a more modern twist, and while Miriam did her best, the vocals didn't always hit the target. Sandra Wikström – "You". Bringing things up to date with this year's Melodifestivalen winner, by an Idol runner-up. Lots of vocal gymnastics which we expect from Sandra by now, but thankfully none of the silly running-about stuff going on in the background. Kevin Walker - "Hope and Glory". Lots of people are still standing for the Walker juggernaut. Unfortunately he's gone down the old easy-listening acoustic route - he clearly knows his own limitations - when we really want him to go out of the comfort zone and for something stompy and anthemic. However he also knows his audience. This was his best performance so far. Jens Hult - "White Light Moment". Jens has been very impressive over the last couple of weeks. Unfortunately the same couldn't be said for his take on the Tove Styrke song. Parts of this were just so awful that if it was an audition he would have no chance of going on to the next stage. That's his problem - like many of this year's Idol contestants, he lacks consistency. Erik Rapp - "Euphoria". A daring and iconic song choice, which has become so associated with its original performer Loreen, that Erik, despite trying to put his own stamp on it, didn't quite succeed. It wasn't a Jens-type train wreck though, and he still has the quality to go far. His vocals often remind me of Terence Trent D'Arby in places. Elin Bergman - "Happyland". A very good song choice for her style. If you remember my blog posts from the 2007 series, you'll recall that I wasn't an Amanda Jenssen fan at the time and only appreciated her after she began making her own music. Maybe Elin will be the same? Gabriel Alares - "You're Out Of My Life". Gabriel was definitely within his comfort zone here. Ballads seem to be his strong point although he's still missing the emotional connection required of a song like this one. Matilda Melin - "Release Me". Much of this was pretty flat and disguised by some Elin-style growls and vocal inflections. It didn't soar the way it should. Bottom two: Jens and Miriam. The failure-to-qualify curse of "This Is My Life" struck again and Miriam was sent home. This week's theme was "gone too soon" which is not a reference to the eliminated George (you can tell I'm still annoyed about that one) but songs by stars who are no longer with us. Sara Sangfelt: "Rehab". This was all over the place , singing a different melody and was very disappointing, as I thought she would do justice to an Amy Winehouse song. This was just the wrong one. Elin Bergman: "No Woman No Cry". You may be surprised to learn that there were moments during this version (of the Fugees version) which weren't 100% terrible. It's probably too late to hope that she might be steered away from the chavvy musical style and look, for there may just be some potential there after all. Erik Rapp: "A Change Is Gonna Come". After Erik's shocking bottom-two place last week he was back to his best. He has such a solid, mature vocal style for one so young, and a great recording voice so win or lose, we're going to be hearing a lot more from him. This was an almost faultless vocal performance. Miriam Bengtsson: "I Wanna Dance With Somebody". Song choice, FFS! Can we please have a little more imagination? This isn't X Factor after all. Happily, Miriam brought a lively and more updated performance but as with her Michael Jackson cover the other week, her vocals can suffer at the expense of the dancing and stage movement. Gabriel Alares: "You Can't Kill Rock N'Roll". Now this is more like it. A great song choice, dedicated to Sugarplum Fairy's drummer Kristian Gidlund who recently passed away. A very interesting decision to reinvent it as a big Swedish pop ballad which was effortless for him. As the weeks go on, does anyone agree that he's becoming the Idol 2013 contestant most likely to appear at Melodifestivalen....? Kevin Walker: "Behind Blue Eyes". He's very smart is Mr Walker. He has an easy-going, if limited, vocal style, but he chooses songs very carefully which don't stretch his vocals too far. However he needs to work on his emotional interpretation, as he grinned his way through dark lyrics. The jury were very positive about this week's performance. Sandra Wikström: "Try Again". A bit too much fight and attitude this week which overwhelmed the subtlety of the original. She's maybe trying just a little too hard to prove herself and fight off the "haters". Matilda Melin: "Sittin' On The Dock of the Bay". Matilda and Sara seem to have vocally morphed into each other. I'm desperately searching for some vocal subtlety in this year's female contestants, and failing miserably. Jens Hult: "Come As You Are". Subtlety was in short supply here too, but then we wouldn't really expect that from the gravelly voice of Jens singing a Nirvana song. There were some cringeworthy moments in here but he is still rather good at what he does, I guess. ...with Sara eliminated this week. Presumably her vocals will now be completely inherited lock, stock and barrel by Melinda. 8 contestants remain, and by the law of averages one of the boys will be next to go, but which one? The week's theme was Swedish music exports, so potentially lots to choose from. Erik Rapp: "Indestructible". Erik took on the Robyn song which proved to be a bit of a misnomer as his song choice took a knock from the judging panel. OK so it wasn't his best performance, but did he really deserve so much criticism? Sandra Wikström: "Lovefool". Where Erik stuck to the style of the original artist, Sandra decided to, um, "Sandra-fy" this song, turn it into a big ol' stompy r'n'b diva number. I'm still not keen on this type of singing, but Sandra finally let go and showed the spark which has been missing over the first couple of weeks. George Shaid: "Fade Into Darkness". Sadly, a prophetic song title and a terrible mismatch of musical styles. His style of singing doesn't suit dance music and his vocal limitations were exposed here. He's clearly more suited to ballads and songs which suit his more controlled vocal style. Matilda Melin: "It Must Have Been Love". 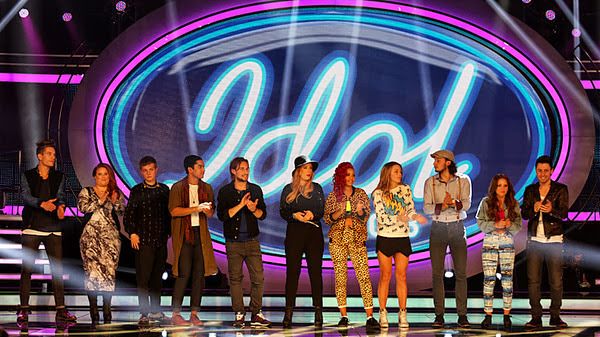 I guess the problem I'm having with this year's Idol is that many of the contestants are still trying to find their own 'style'. Matilda is one of them, she is just "there" but that's all. This was a rather dreary version of the Roxette song and the best thing about it was probably the flowers in her hair. Kevin Walker: "Poker Face". "The Singing Footballer" is still making the news of course, and the "Walkiers" are giving the "Beliebers" a run for their money. This wasn't earth-shattering and the bum notes just keep on coming, but turning the Gaga's classic into a countrified acoustic tune was actually quite an inspired move. Gabriel Alares: "Reload". Where George had unravelled in his interpretation of a dance song, Gabriel found it a much easier task although this wasn't as good as his "Sista Morgonen" and if I'm honest he's still a bit "second division" - the backing singer rather than the star frontman. Oh, and his quiff is getting higher by the week and is well on the way to Jedward proportions. Jens Hult: "The Lion's Roar". So the gravelly old guy trapped in a young guy's body effortlessly tackled the First Aid Kit song. He won't win this, but he's good for a few weeks yet and has slotted into the role of this year's 'rocker'. Elin Bergman: "All That She Wants". This was horrendous. She's trying too hard to be too "street", too aggressive in her vocals, and is working the chav look. All of the things I really can't stand. This was the sound of Ace of Base being slaughtered by Cher Lloyd. 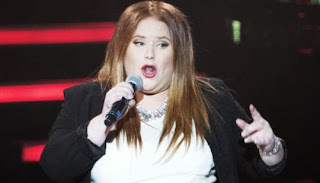 Miriam Bengtsson: "F****** Perfect". An improvement on her performance from last week, and as long as they keep her away from the usual regulation talent-show soul-diva songs (we know what they are) it might just give her some space to develop and become a serious challenger. As we spent most of the previous day travelling and then a late evening arrival in Palma, for the purposes of my trip report Thursday is going to be day 1 as it was the 'real' start of our holiday. So forget the chilly mid-September temperatures at home, when at that point the heating had already been on for a couple of weeks. It would be nice to remember what sunshine actually looked like again, as we'd forgotten. As I'd mentioned previously in a couple of posts over at Random Ramblings, I'd been floored by a viral infection just a few days before the start of the holiday and hoped that the change of scene might speed up the recovery. (Unfortunately this wasn't to be, as the soundtrack to every day was a persistent throaty cough, horrendous headaches and nasal hell). However, despite this (and a couple of other health niggles which I won't go into here) I still managed to have a highly enjoyable time in the capital of Mallorca. Palma is the main destination for all travellers to the island, however most of them then board a coach to one of the numerous popular resorts. But we were more fascinated by what the city had to offer as a short break destination. We make our way through the old town and down towards the seafront. On our way we pass the majestic Almudaina building (pictured below), which was probably my favourite piece of architecture in the whole city. It began life as an Arab fortress and later became the Spanish royal family's residence in Palma, where official functions take place. The most famous building in Palma is probably the Cathedral, which sits alongside the Almudaina on a very photogenic spot of land. It's big - very big indeed. The area between the front of the cathedral and the seafront has been landscaped with an artificial lake and a tree-lined walkway. This setting feels like a million miles from Magaluf, and we've already made our minds up that we made the right decision coming here. ...the Costa Serena (left) and an MSC ship on the right. Apart from cruise travellers, Palma is packed with a cosmopolitan mix of international travellers, but so far, not a football top in sight! There's lots of very upmarket clothes shops all over the city, which doesn't seem to be showing too many signs of recession. The city has a relaxed atmosphere though, so casual holiday clothes are fine. Palma is like a smaller, more compact version of Barcelona, with its Catalan language and architectural gems. It also has a street called La Rambla, however unlike the Barcelona equivalent Las Ramblas, this one is a bit of a missed opportunity, with only the odd restaurant and flower market. As we will find out later in the evening, all the buzz is happening around the Passeig des Born. ...all of which is accompanied by a bottle of the (very strong!) local Mallorcan red. Needless to say in the interests of research, we would indulge in some Mallorcan wine tasting over the coming days. After all, you don't see these in the shops at home, so when in Palma...! The square, and the city, was packed tonight. The reason being that it was the Nit de L'Art - the night of art - which saw the city transferred into one giant art gallery. Apparently it's an annual event - read more about it at http://www.nitdelartartpalma.com/en_home.html The Plaça Major was the centre of lots of arty activity, including a jazz band playing on a small stage and a Mini car set up as an art installation where the artist invited members of the public to cover it in sticky tape. There's lots of people walking around in green "Crida" t-shirts. I later learn that these are worn in support of a teachers' strike. The teachers are striking in protest at the Spanish government downgrading the status of Catalan-language education in favour of the Spanish language. In this Catalan-speaking part of Spain it's a very hot topic, and over the week we saw many people wearing these symbolic green t-shirts. After dinner it's onwards through the old town and down the Passeig des Born which is absolutely jumping tonight. It feels like the whole city is out to party. If Palma seemed a bit sleepy on our arrival last night, the residents were obviously catching up on their sleep in preparation for tonight's arty party! Palma is living up to the description of 'the city that never sleeps'. Every bar and restaurant is packed and there is a great lively atmosphere. So far, Palma also feels like a very safe city. But as I say in every holiday diary, everywhere feels safer than home does :) Finally, here's yet another picture of the Cathedral - by night. In the next instalment, further exploration of Palma, and taking the weight off our feet on a sightseeing bus tour. My internet broke down last weekend and I've had no internet connection between then and now, which explains why there's been no posts this week. Over the next couple of days I'll post my backlog of Swedish Idol reviews and some other stuff as well. This week's theme was "Their Idols". George Shaid - "Home" (Michael Buble): Maybe not the right choice as he lacks Buble's distinctive vocals, but George displayed good vocal control and restraint on this. He's still one of my favourites in this competition, and certainly looked the part of a pop star this week. Miriam Bengtsson - "P.Y.T." (Michael Jackson): Her outfit reminded me of a leopardskin onesie. A little shrill and shrieky vocally, and certainly not a great song choice, although she really got into the performance towards the end. A muted response from the panel and obviously the viewers agreed as she ended up in the bottom 2. Gabriel Alares - "Sista Morgonen" (Niklas Strömstedt): a very good, if slightly anonymous, rendition of the song made famous by the man who is currently hosting rival channel SVT's "Alla Tiders Hits". That's my problem with Gabriel - he has a good voice but doesn't really have that something extra to push him much further in this year's competition. Extra points from me though, for singing a Swedish-language song. Matilda Melin: "Superhero" (Cher Lloyd): here at EuropeCrazy HQ it would be fair to say that we are not fans of Ms Lloyd and her swagger. Matilda's obviously done something to annoy the stylists as she's clad in a Batman jumper proclaiming "WHAM!" on the front. Maybe she should have sung a George Michael song instead. Her days are probably numbered, judging by the panel's muted response. 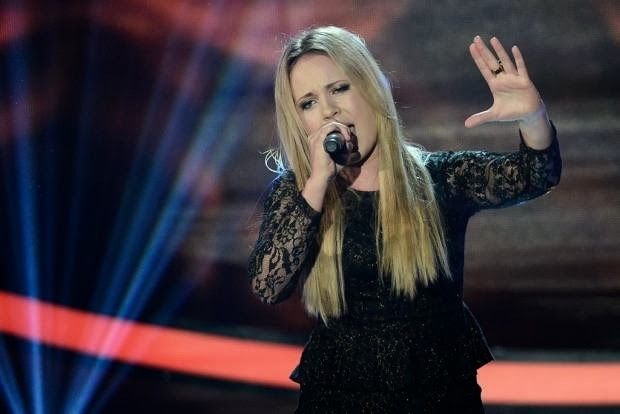 Sara Sangfelt - "Your Song" (Elton John): it's not the Elton version, nor the Ellie Goulding version for that matter. Instead we get the Sara-version, a little rocky in mood and also vocally. Another styling nightmare. She hasn't been well this week, so the sympathy vote may have saved her, who knows? 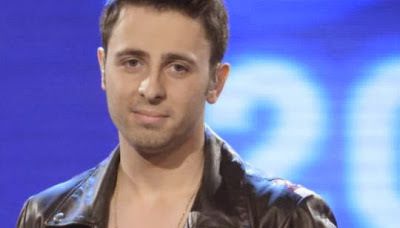 Sakib Zabbar: "The Botten is Nådd" (Timbuktu): Sakib was thankfully more animated than last week, yet he still didn't seem to be making that all-important connection with the viewing/voting public which was probably the reason why he went home this week. Erik Rapp: "Wicked Games" (The Weeknd): now this is more like it. I was complaining last week that there were too many safe song choices, where the old-style Idol would go for some less obvious choices. Well, normality has been restored. Lots of sweary words and a more obscure song choice. In a British talent show this would be the kiss of death; in Sweden this just raises his stock more and more by the day. Like his namesake Erik from Idol 2009, you get the feeling that he could take on any song and do it well. Kevin Walker: "Say" (John Mayer): believe it or not, I was a big fan of John Mayer in the early stages of his music career, before he became more famous for his celebrity girlfriends. Kevin's voice lacks the distinctive quality of Mayer's, however he did well enough on this. Of course the competition's not all about being the best singer - and Kevin's easy-going charisma and winning smile is going to take him a long way. Jens Hult: "Heart of Gold" (Neil Young): 'Rock'-style performers have traditionally done very well in Swedish Idol. Jens brought rough-diamond quality to this, and he seems to be growing in confidence now, helped along by positive comments from the panel. Elin Bergman - "Tell Me About It" (Joss Stone): she gave it her all but for some reason I'm still having trouble connecting with her and there is still something missing. As they used to say, it's just a little bit karaoke. Sandra Wikstrom - "I Will Always Love You" (Whitney Houston): so we've decided that the stylists must have been in a right old bad mood this week. Now they've put Sandra in an unflattering dress. This wasn't her best week - not a great song choice and the end result was rather ...empty. Two weeks in and Idol is still all about the boys.